Lorrie's Story: Win a Cricut Explore One or a 1 Year Subscrption!!!! It's so Easy!! 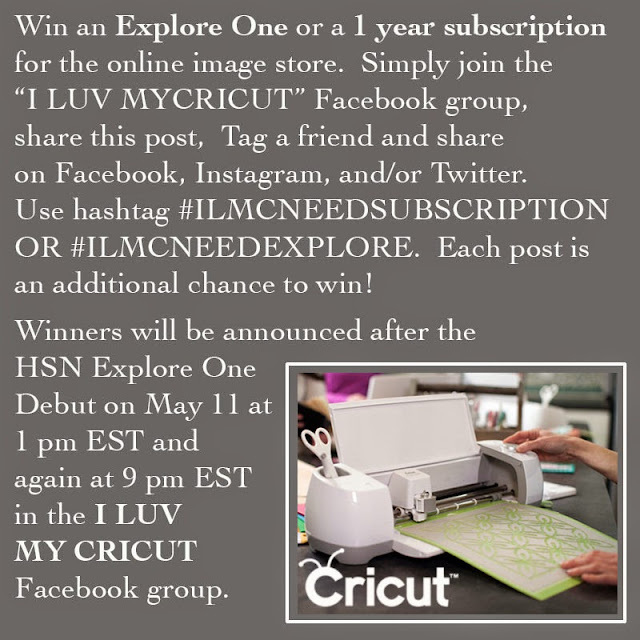 Win a Cricut Explore One or a 1 Year Subscrption!!!! It's so Easy! !